Four-Wheeled Furies Going National – AGAIN!!! 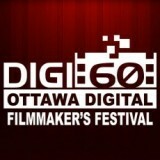 Friday evening marked the pitch session for the 2012 Digi60 Festival. As an invited filmmaker, working with Mountain Road Productions, I was excited to hear the 12 filmmakers pitch different ideas for the catch: “reunion”, with the added challenge of beginning or ending the film with a rhyming couplet. The pitches were varied: dark science fiction, comic horror, black comedy, drama. In the end we decided to go with a comedy, and I am looking forward to working with the writer to see where the pitched idea can take us. There was a lot of creative energy in the room, and the process promises to be a very exciting and fun one!